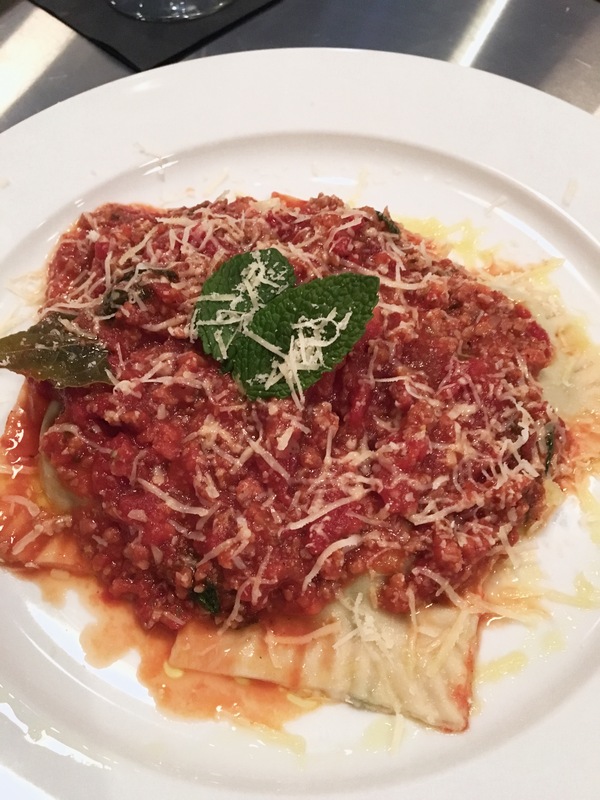 Sammy’s Enoteca – eating my way through Charm City! I usually don’t write about a place before they have been open for 90 days. I call it my 90 day rule. In an effort to try some new spots and walking in Fells, we popped in. Let’s be clear – I love Sammy’s and I love wine. Enoteca basically means wine (well actually wine repository or wine bar to you can taste local wines). So, it’s no shock that this place was calling me. My favorite part of this place is the wine list. There are plenty of choices, and you can do many as a half pour (3oz) or full pour (6oz) or by the bottle. I like the half pours because you can try different ones or switch around as you pair with apps vs. entrees. I started with a white half pour. And love the glasses – cute little “s” one each one. It’s definitely right along the style of whites that I love – a little floral, a little minerally and only a little residual sugars. This Falaghina from Italy has some mineral notes, but the medium to full palate let it pair well with our beef carpaccio. The beef carpaccio, tho. 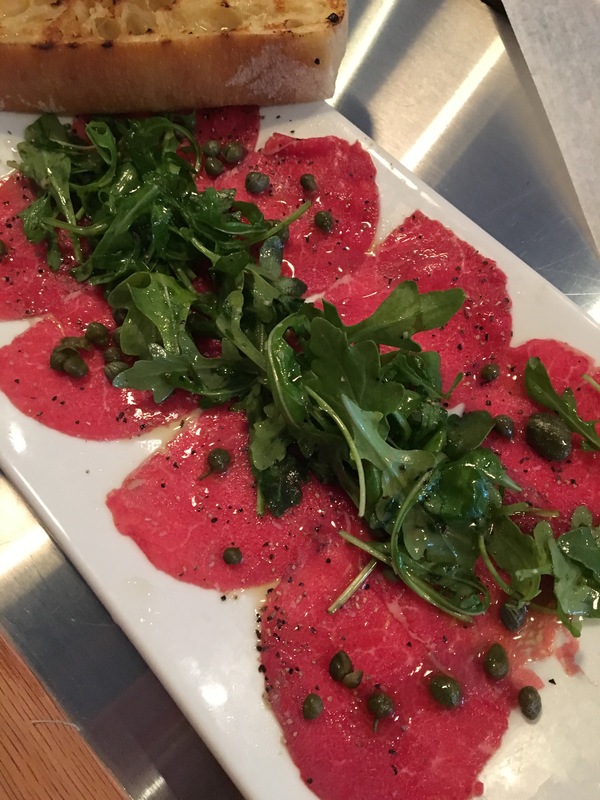 Thinly sliced raw beef, capers, and arugula. It was al little early in the year for great tasting arugula, but I loved this dish with the wine and the crispy toast points. Next, we went with the burrata. So, so tasty. I am sure I am one of those girls who eats way more cheese than she should, but hey look at all that lettuce and tomatoes. That counts right? The star of the night for me was the pea ravioli and mint ragu. I cannot tell you how fresh and light this was despite the size of those raviolis and all that sausage in the red sauce. I suggest sharing a few bites, so you can work your way through an entire traditional Italian meal. This entry was posted in Charm City, Dinner, Drinks, Fells Point, Hooray!!! Winner!. Bookmark the permalink.